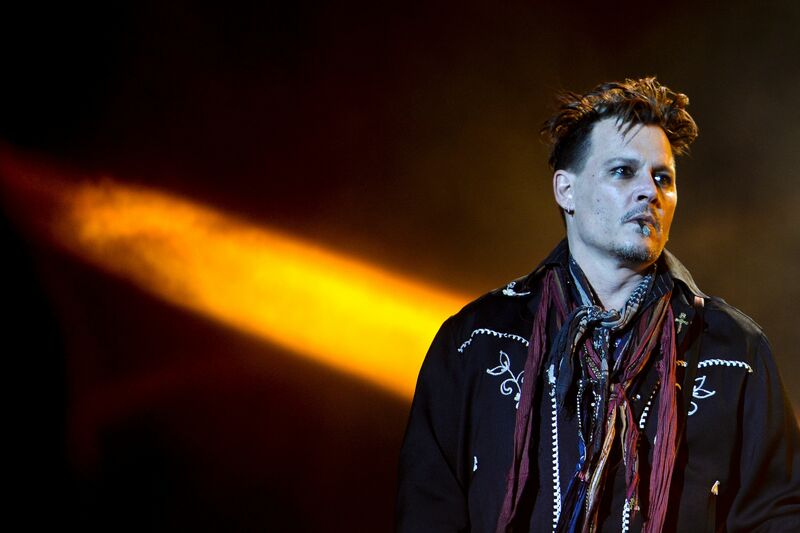 When it was first announced that Johnny Depp would have a cameo in Fantastic Beasts and Where to Find Them, followed by a larger part in the sequel, many Potter fans were surprised, to say the least. (Major spoilers ahead.) The actor seems like an odd fit for JK Rowling's wizarding world, which has long relied on employing either relative newcomers or iconic British actors to take on roles in the films. Yet while Depp's casting as the dark wizard Gellert Grindelwald may feel strange to some audiences, it has strong support from Potter's filmmakers, including director David Yates and Rowling herself. "You think of all the actors who are fearless, who are real artists, who have in their career created characters that have become iconic parts of our culture — it’s a very short list," says Yates while at Fantastic Beasts' New York press day. "You think of an actor who’d come to something like this with real ambition, with fearless ambition, and Johnny just felt like a really natural fit for that... we were all very excited about him becoming involved." Seen in the conclusion of Fantastic Beasts, Grindelwald is a major character, a person who's likely going to become intricately connected to the Harry Potter storyline in future films, according to hints given by Rowling and the filmmakers. As Potter fans know, Grindelwald was a dangerous dark wizard who had a strong friendship with a young Albus Dumbledore, before a duel between the two that led to the death of Albus' sister, Ariana. After that event, Grindelwald went on to achieve great power across magical Europe and cause many deaths, before ultimately being defeated by Dumbledore. The character may not have played a massive role in the Potter books, but in the Fantastic Beasts films, he's likely to have a substantial impact. Says Yates, "it’s a big pair of shoes to fill." And Depp is the person tasked with doing just that. At the New York press conference for the film, Rowling said that she was "delighted" by the actor's casting, and that Depp has "done incredible things with that character." Some audiences, however, might not share her excitement. In May, Depp was accused of domestic abuse by his then-wife, Amber Heard, a charge the actor has denied. (The duo settled the abuse case and their divorce case in August, at which time the exes released a statement to TMZ saying that "neither party has made false accusations for financial gains. There was never an intent of physical or emotional harm.") His public image has taken a hit since the allegations were revealed, and so it might be surprising, to some, that he'd be cast in as high-profile a film as Fantastic Beasts, plus its sequels. Yet at the movie's press day, Yates explains that Depp shot his cameo in the first film in January, long before the accusations came to light, so it's likely that the filmmakers were unaware of any potential issues with the actor when they chose him for the role. And now that he's set to return in more Beasts films, Depp's impact on the franchise will only continue to grow, regardless of some fans' feelings about the actor. It'll be interesting to see where the filmmakers choose to take Grindelwald, and how the character will come to affect the Potter universe as fans know it.